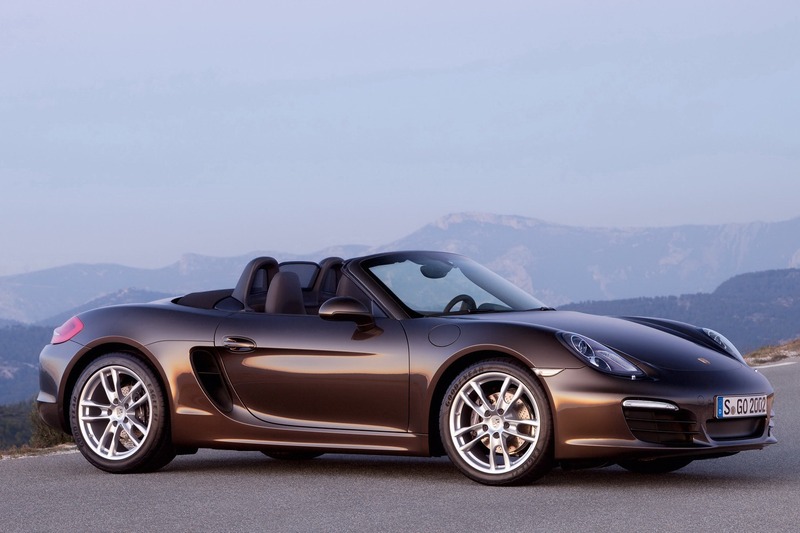 The next iteration of the Porsche Boxster may not have made its world premiere in Detroit but the first official photos of the car were dropped onto the internet just as we were getting ready to write up our final post on the show. 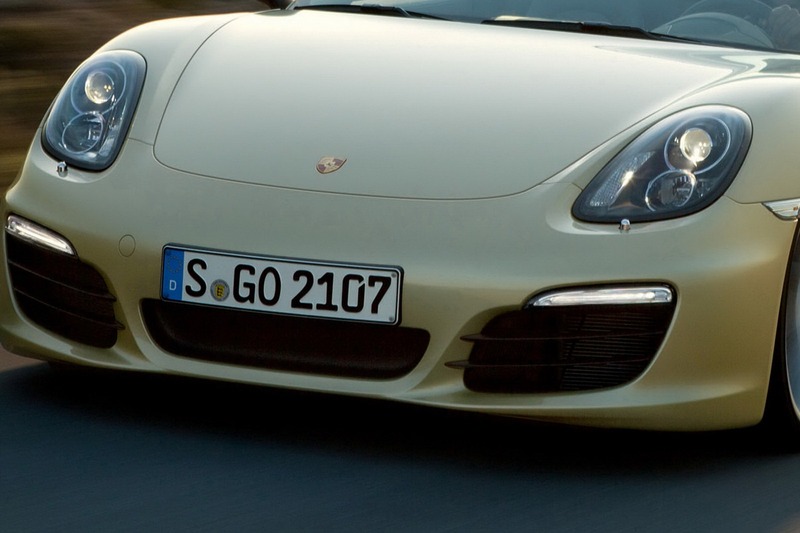 This is the third generation of the Boxster since the birth of the series in 1996. 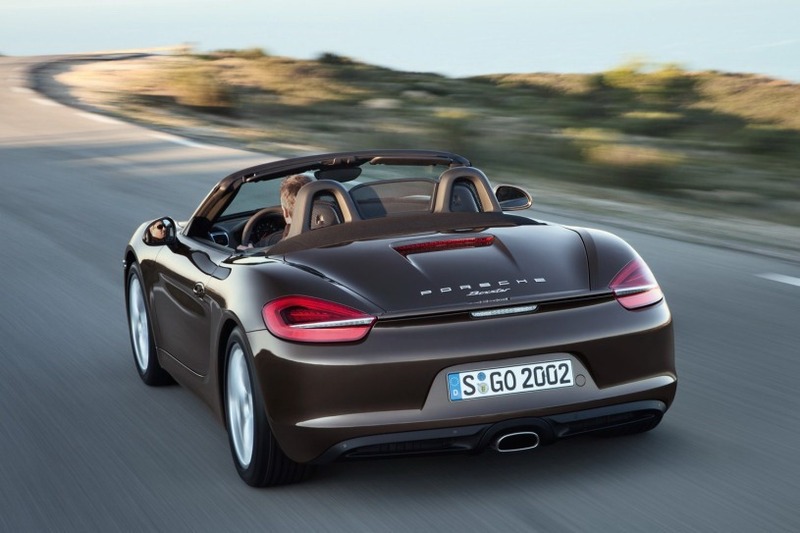 The latest version of the two-seater model introduces an all-new lightweight body, upgraded flat-six engines with direct petrol injection, a completely revised chassis and in true Porsche fashion, evolutionary styling. 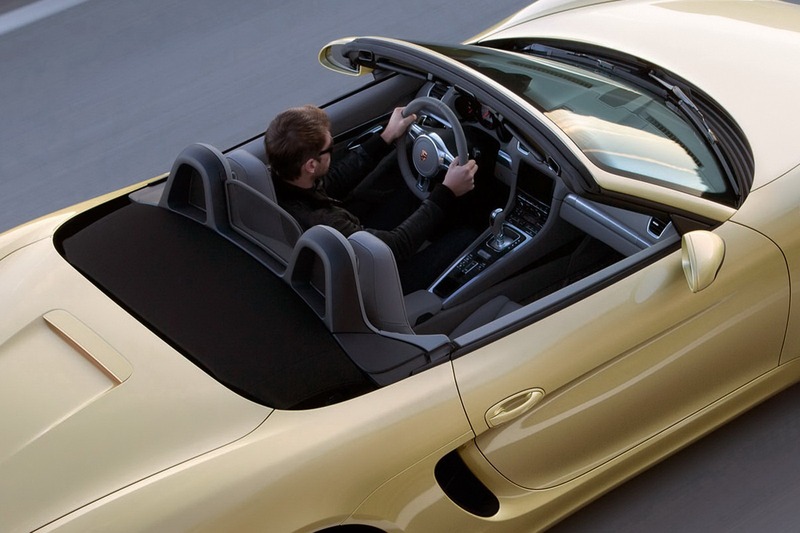 First of all, the new Boxster sports shorter front and rear overhangs along with a significantly forward-shifted windscreen and an overall flatter silhouette with the front end borrowing several design cues from the 918 Spyder Concept that's also heading to production. 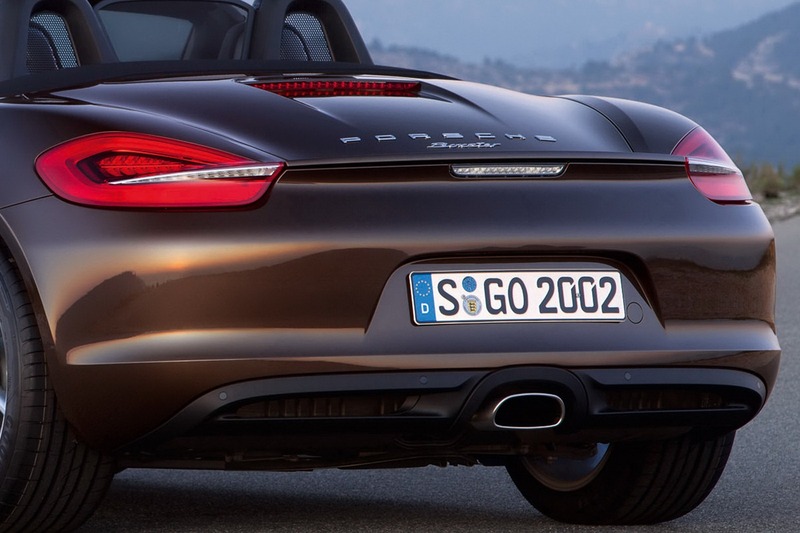 The rear gets a similar set of tail lamps to the outgoing model but with a protruding crease in the middle. 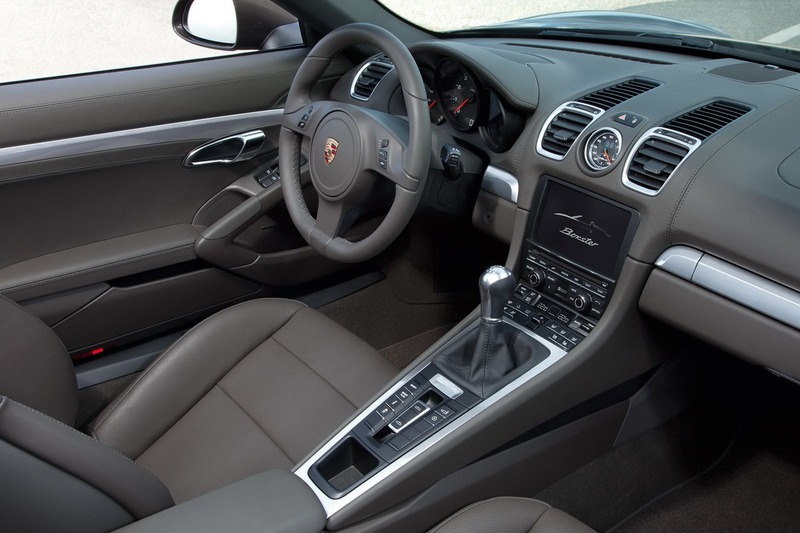 Inside, the most prominent changes take place on the centre console that boast a large screen and an elevated lower section featuring similar controls to those found on the latest 911 and the Panamera. 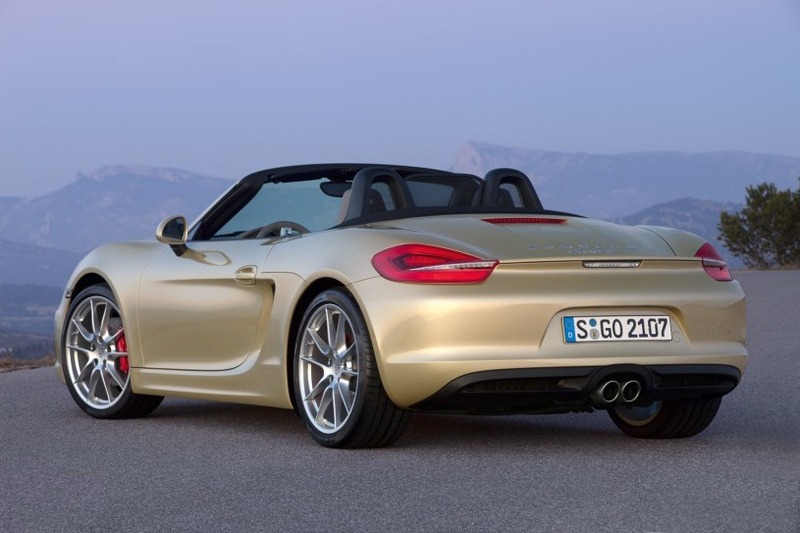 The longer wheelbase and wider tracks promise to improve space for passengers while Porsche has also added a new fully automatic hood, which now dispenses with a compartment lid for the convertible top when stowed away. 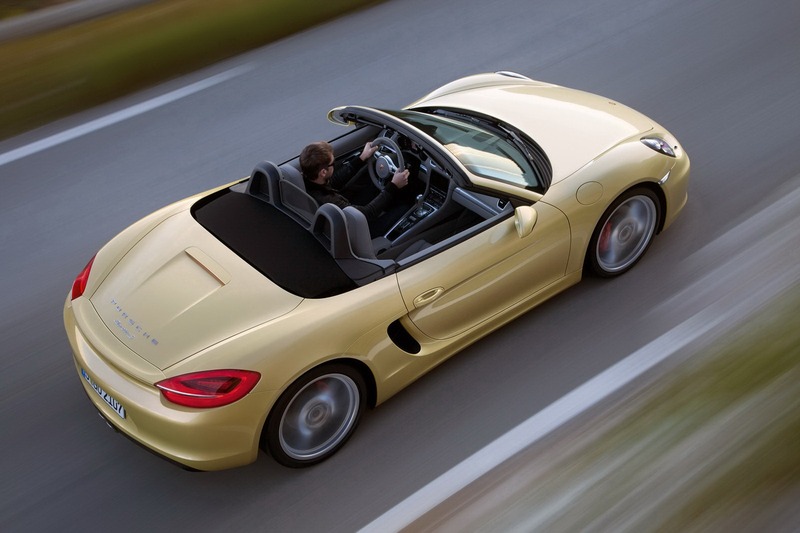 We're still short on the full technical details, but we know that the new Boxster's all-aluminium body is significantly lighter than the all-steel model it replaces, while the revised chassis is also expected to shed some pounds. 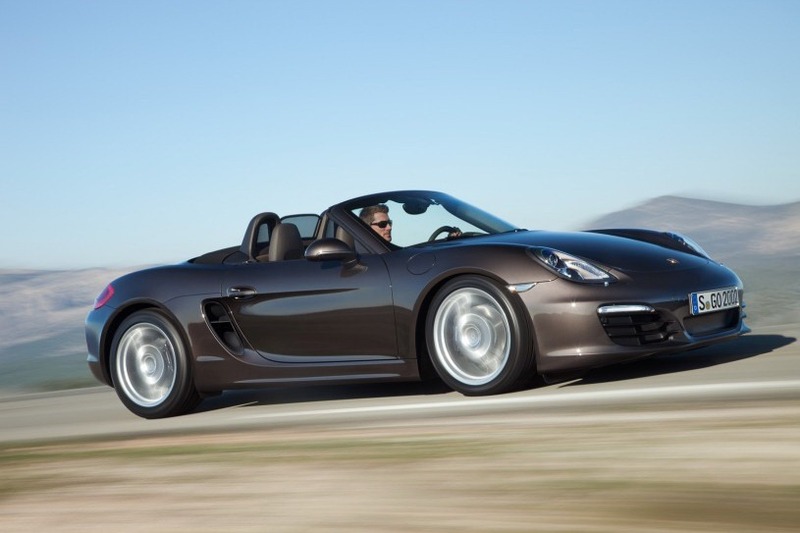 On the engine front, the long-rumored four-pot did not make its debut on the new Boxster, but Porsche did rework the existing horizontally opposed six-cylinder powerplants, both of which feature direct injection technology. 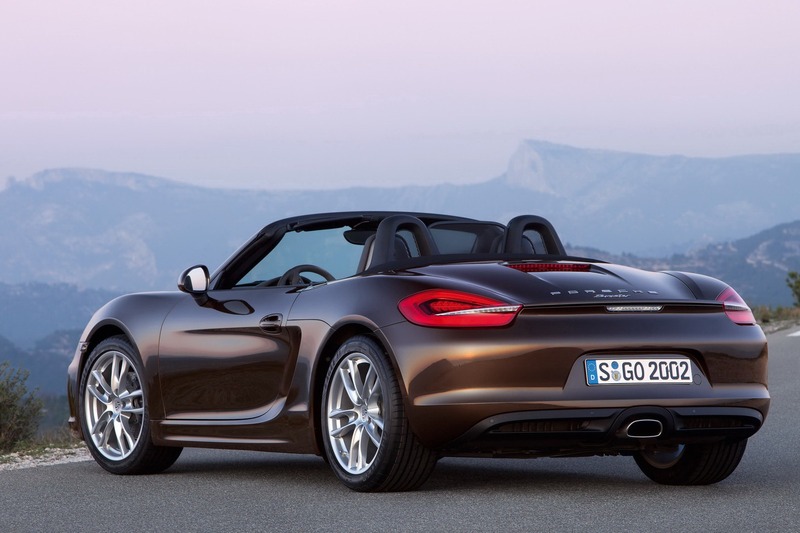 The base Boxster gets a 2.7-liter flat-six instead of the outgoing model's 2.9-liter unit. Despite the smaller displacement, it produces 10HP more at 265HP, and can complete the 0-100km/h (62mph) sprint in 5.7 seconds (vs. 5.8 seconds for the outgoing model). 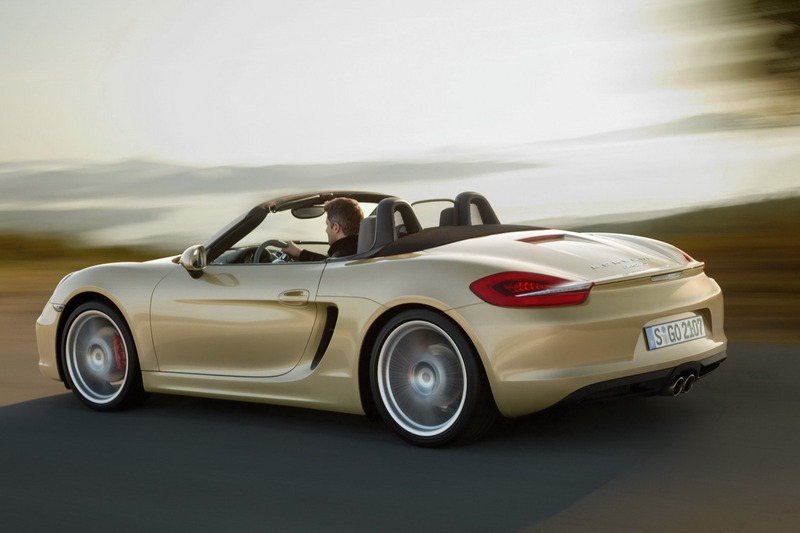 The Boxster's 0-60mph time is 5.4 seconds. 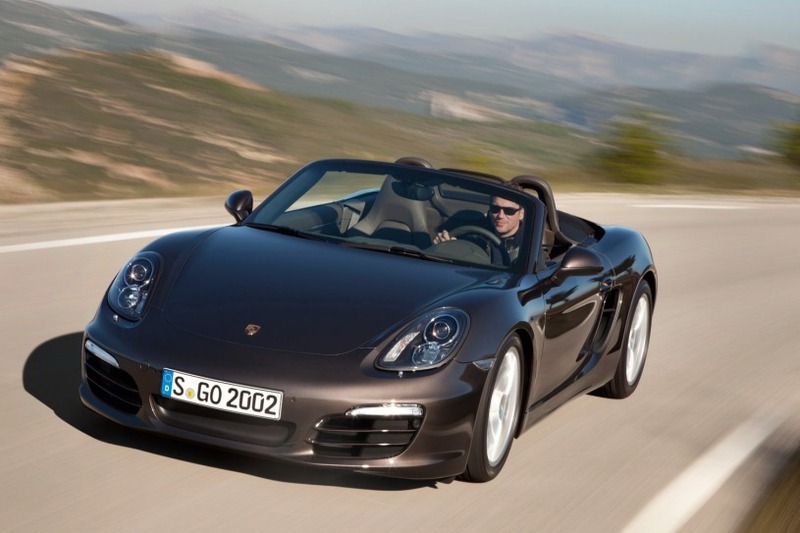 The sportier Boxster S keeps the same 3.4-liter engine but revised to deliver 5HP more at 315HP for a 0-100km/h (62mph) acceleration time of 5.0 seconds (vs.5.2 seconds for the outgoing version). 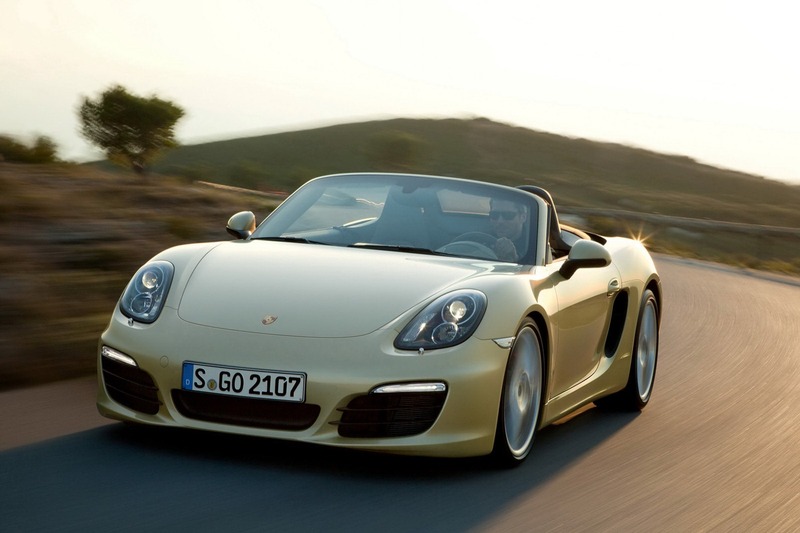 The Boxster S's 0-60mph time is 4.7 seconds. Both models are fitted with a six-speed manual gearbox as standard, with a seven-speed dual-clutch PDK transmission available as an option. 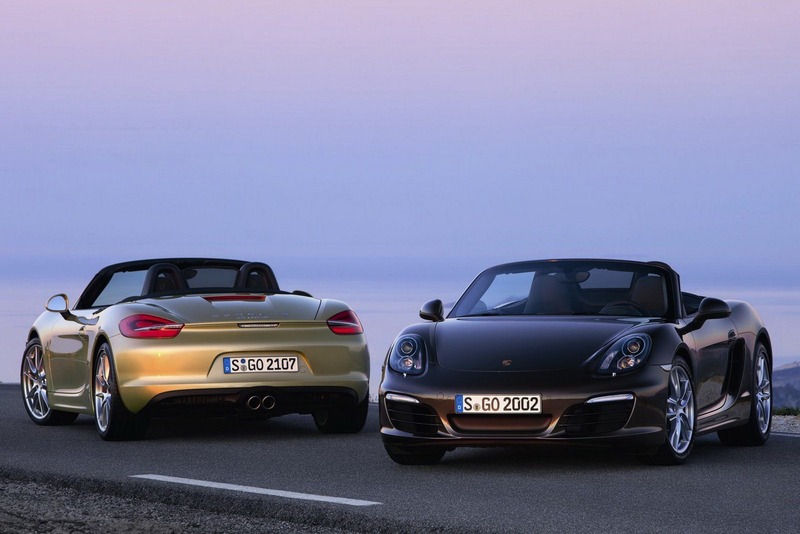 Even though faster than their predecessors, the Boxster and Boxster S are also more fuel efficient returning a combined fuel economy of 7.7lt/100km (30.6mpg US) and 8.0lt/100km (29.4mpg US) on the European driving cycle. 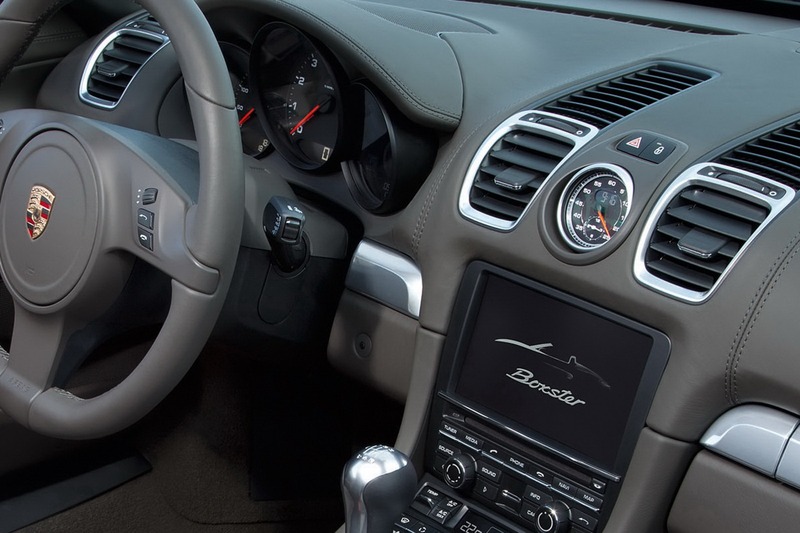 A Sport Chrono Package with Dynamic Transmission Mounts and the Porsche Torque Vectoring (PTV) with a mechanical rear limited slip differential are among the many options offered by the Stuttgart automaker. 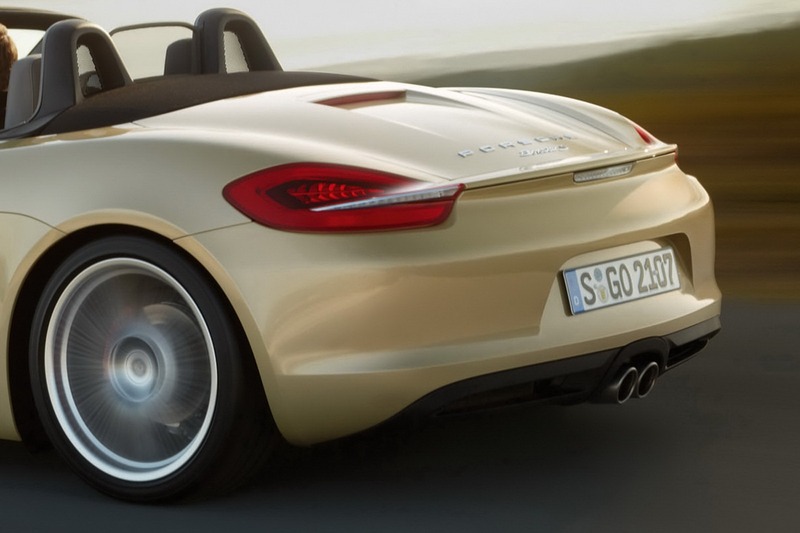 European sales of the new Boxster will begin this spring while the roadster model will arrive in U.S. showrooms in the summer with prices set at $49,500 for the Boxster and $60,900 for the Boxster S, not including a $950 destination charge.